Thanks for sharing your Laser Success Story Mike! 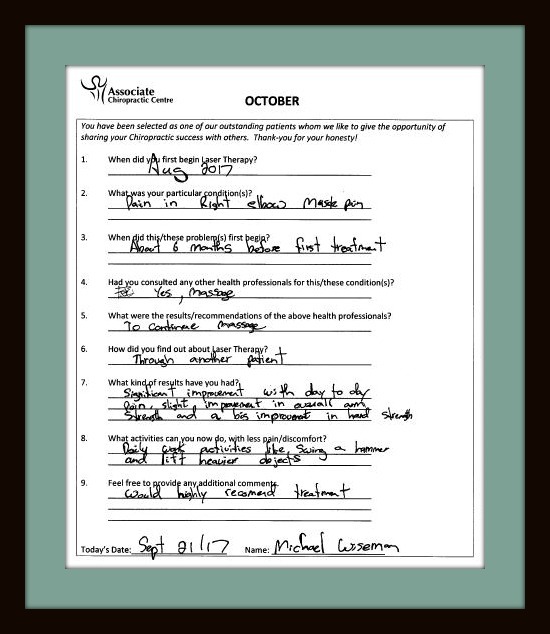 We are glad it helped to get you back to your normal work duties. 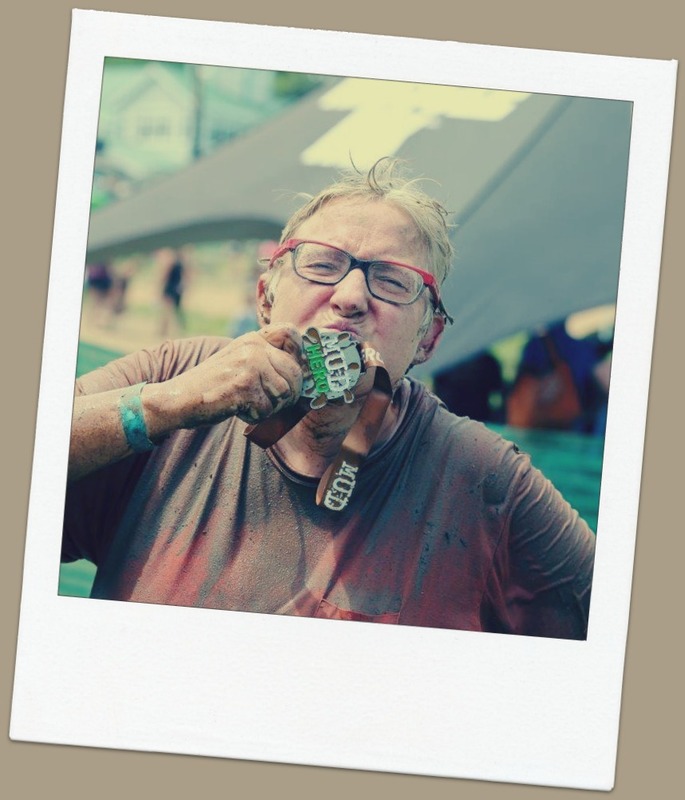 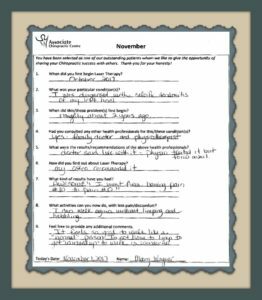 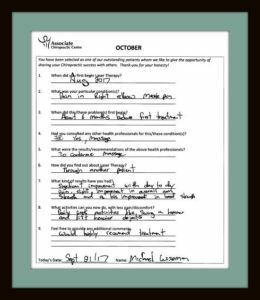 Another great laser success story from Mary Wagner our November Laser “Patient of the Month” who is so pleased that she is walking normal again! 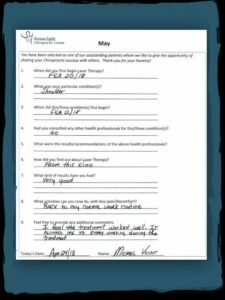 Thank you for sharing Mary, we are pleased too! 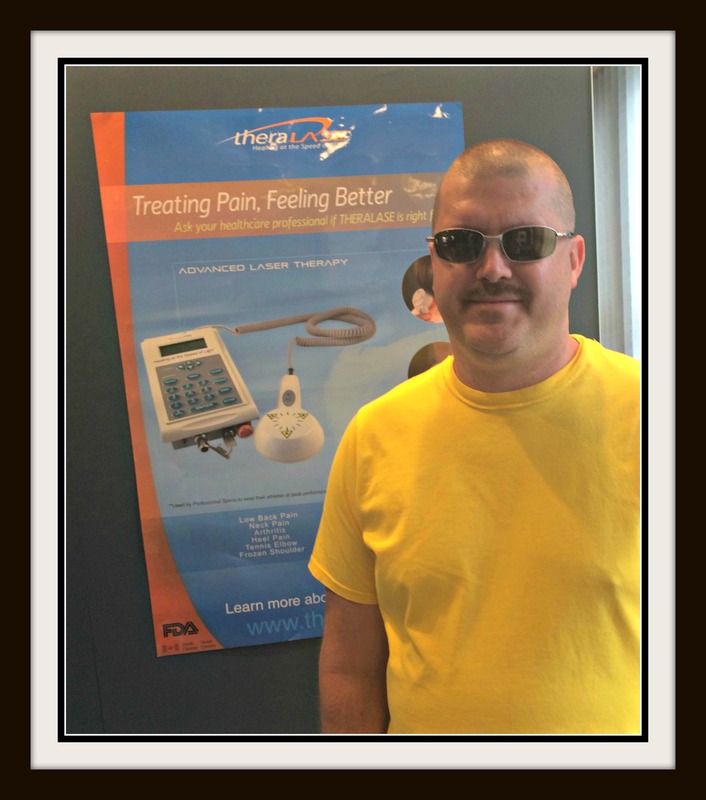 Meet Michael Wiseman, our October “Laser Patient of the Month”! 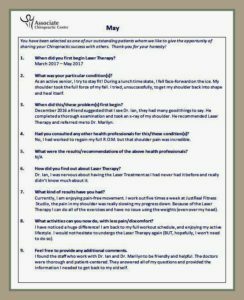 ‘Highly recommending’ laser treatment after finding improvement with day to day activities! 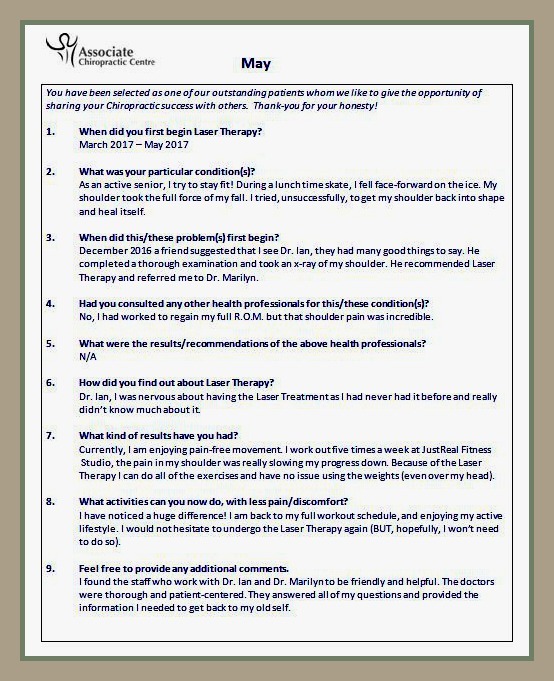 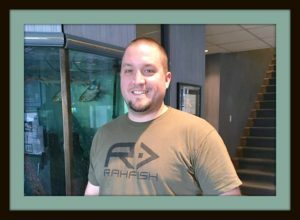 Thanks for sharing Michael, we’re glad the Laser treatment helped! 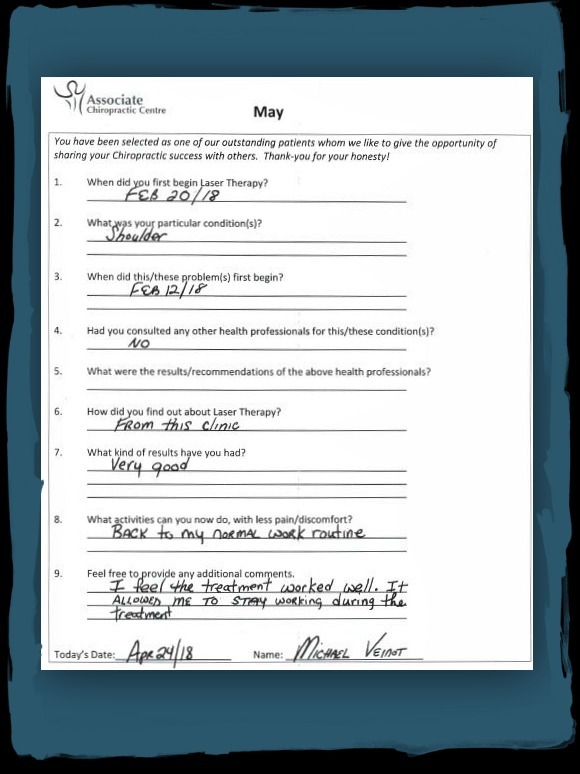 Meet Bridgett Morgan our “Laser Success Story” for May – “enjoying pain-free movement and back to her full workout schedule” – thanks for sharing Bridgett, we’re happy to hear your feeling and moving better! 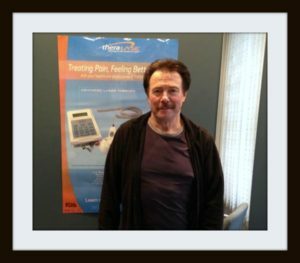 Thanks to Gary Covey for being our November “Laser Patient of the Month” – ‘feeling better after the first treatment with Dr. Marilyn”. 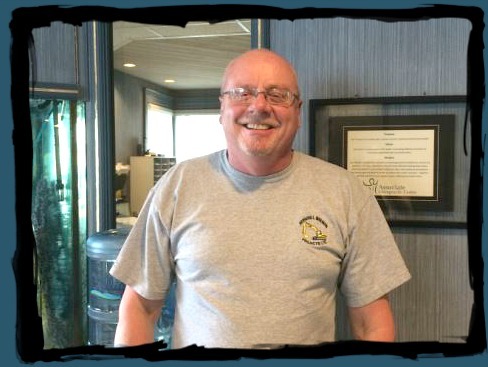 Great to hear your positive results Gary! 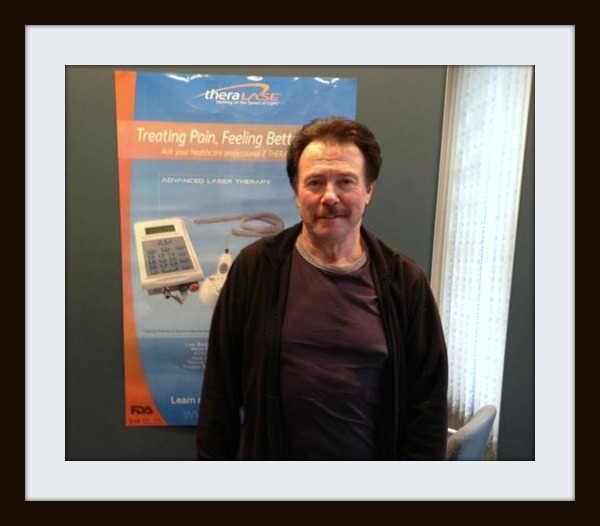 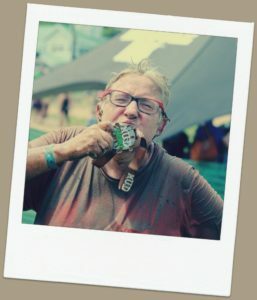 Meet James Joudrey our July “Laser Patient of the Month”….”Amazing Results within a couple Session”, thank you for the great feedback James, we’re glad your mobility is back!